Originally announced in 2013, the Charming Bird is a half million dollar Jaquet Droz timepiece that features the world’s first singing bird automaton in a wristwatch. Basically, there are two mechanical movements that control the time and automaton functions, respectively. First, is the movement which controls the time, caliber JD 615, beats a 3Hz (21,600 vph) and features automatic winding via a platinum oscillating weight. It powers the hours and minutes display located at 12 o’clock and is controlled by the crown just above that. The movement is in-house made and features 29 jewels and a 38-hour power reserve via a single barrel. 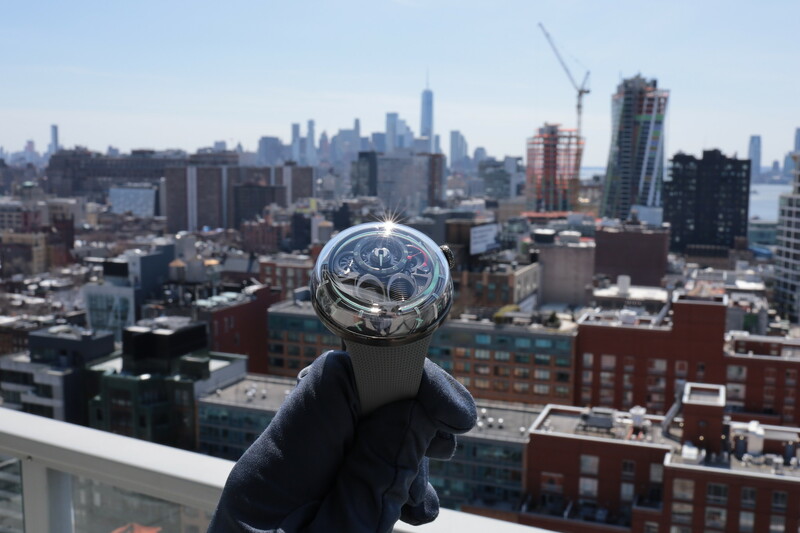 Second, is the singing bird automation movement is controlled by a hand-winding mechanical movement, with a crown and push-button at 2 o’clock. You have to manually wind the crown, which in turn compresses the air to activate the piston-driven bellows, to activate the singing bird automation, which consists of wings that go up and down as the head rotates. There are four versions in total. Two in white gold and two in red gold. 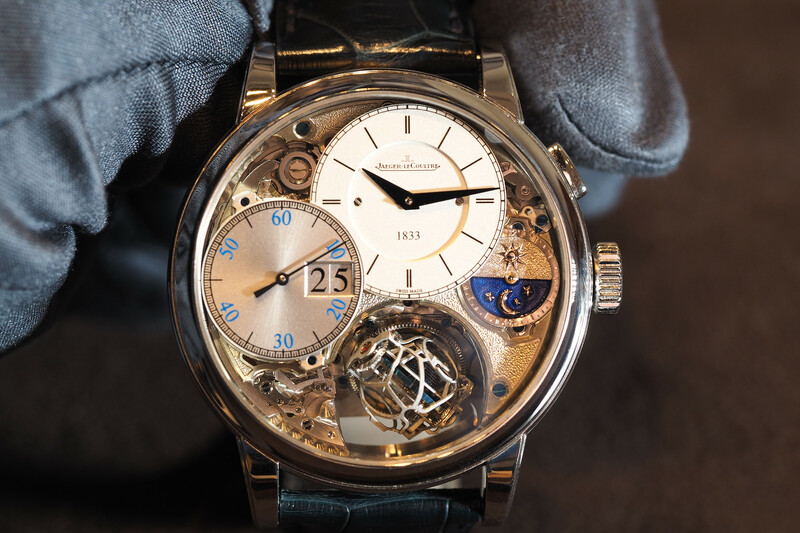 Two feature a sapphire dial and allow a view into the functionality of the automaton mechanism. The other two models have a hand-engraved and hand-painted white mother-of-pearl dial the covers the mechanism. 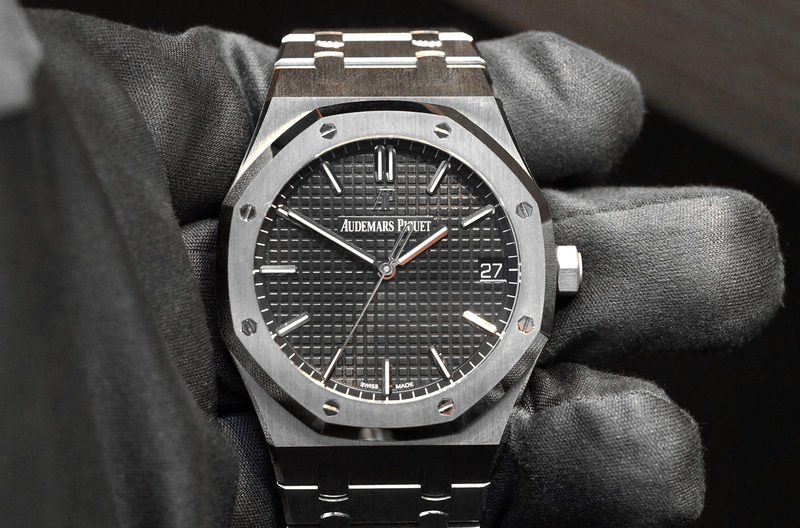 Each variation comes in an engraved numbered limited edition. 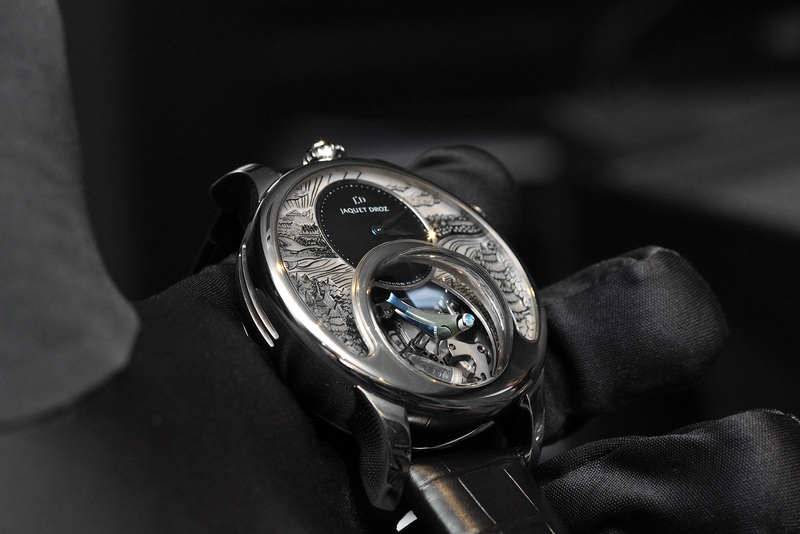 The case measures 47 mm x 15.75 mm, with the exception of the bird automaton bubble sapphire crystal which is 23 mm tall. Worth noting is the fact that the Charming Bird won the “Mechanical Exception” award at the 2015 Grand Prix d’Horlogerie de Genève.